In this series of tales, a prince must capture and bring back to his country a zombie who is endowed with magical powers—but in order to succeed he must keep himself from speaking even one word to the zombie. The zombie is wily, and during the long journey he recounts fascinating tales to the prince, who is carrying him in a sack on his back. Spellbound by the stories, the prince is drawn into making some comment on them. But the very moment he opens his mouth, the zombie escapes, and the prince has to go back to India to catch the zombie all over again. This same scenario occurs over and over, tale after tale, journey after journey—until the prince truly learns his lesson. These zombie stories, known as the Vetalapancavimsati in Sanskrit, are engrossing teaching tales that originated in ancient India but have become popular in the Buddhist culture of Tibet, as well as in other Asian cultures. 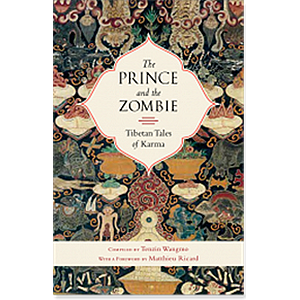 This Tibetan version of the stories conveys the values of Buddhism, particularly those related to karma (the laws of cause and effect), happiness, and suffering. 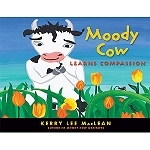 Through these tales, the reader learns that Buddhism is a path of knowledge that leads to liberation from suffering. Paperback, 2015 edition, 126 pages.